There was an engine tuning company in the U.K. called Vegantune and they specialized in restoring Lotus Elans. After a while, they figured out a few tweaks that could be done to improve the cars and set up a separate company – Evante Cars Ltd – to build their own car, which was heavily influenced on the Elan. Introduced in 1987, the first Evante could be had as a kit or complete car. The first Evante only lasted through 1991, but then the company was purchased by Fleur de Lys Automobile Manufacturing and they introduced this, the Mk II. Based around a 1.8-liter Ford Zetec straight-four, the Mk II made 130 horsepower. The body is fiberglass. Only nine Mk IIs were built, with this probably among the last. Having covered only 11,000 miles since new, it looks like an attractive modern take on the classic Lotus Elan. Consider it a quirky Miata alternative if you will. It should bring between $14,750-$17,500. Click here for more from this sale. 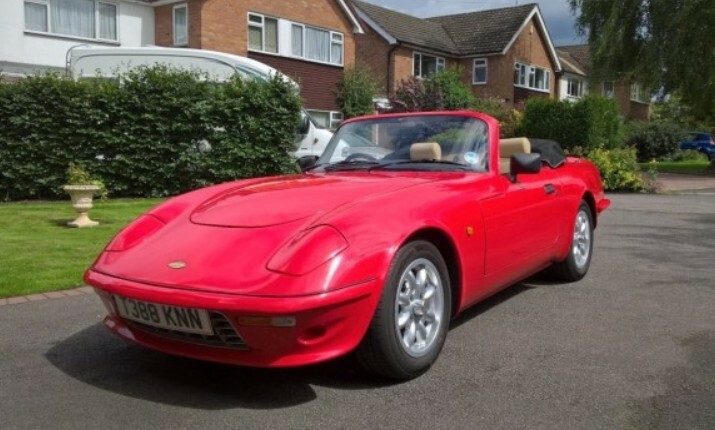 This entry was posted in Uncategorized and tagged 1999, auctions, brightwells, cars, evante, mk ii, sports cars by classiccarweekly. Bookmark the permalink.